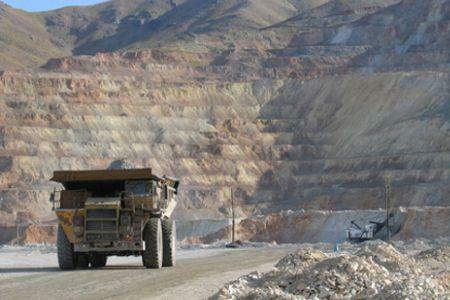 This year (starting from March 21, 2019) eight mining company owners in the North Khorasan Province of Iran have been relieved of their duties, said Ali Asghar Rezazadeh, Head of the Mining Department of North Khorasan Province Industry, Mine and Trade Organization, in an interview with IRNA, Trend reports. He noted that if the mine owner does not pay the state funds, keeps the mine inactive or does not fulfill their responsibilities, they are to be relieved of their duties. Some 100 of the 235 mines located in North Khorasan Province are currently active, with the rest being shut down or remaining passive due to economical hardships or a lack of liquidity, Rezazadeh added. As a result of devaluation, the expenditures on production have significantly risen. “One of the main problems of mine workers is the provision of mining equipment. The rise in the prices for such equipment has hindered production. This equipment is very expensive. We are trying to support the miners in need of such equipment by giving their identity to involved banks and providing credits”, Rezazadeh said. According to a North Khorasan Province Industry, Mine and Trade Organization representative, 1,376 people are currently employed in the province’s mines. The mine reserves of North Khorasan Province amount to 1.058 billion tons. Around 5.8 billion tons of mining products is extracted per year. Miners of the province have made 1.34 trillion Iranian rials (about $31.9 million) worth investments in developing mines.